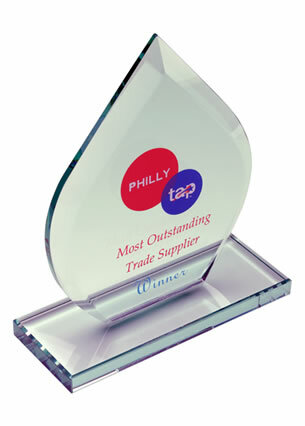 Optical crystal globe award with 80mm dia globe. 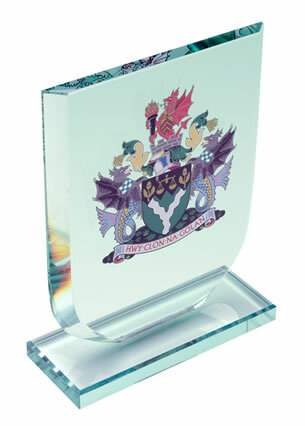 A superior award, ideal as recognition or achievement awards, offered with engraving and/or colour print options for the clear crystal base. 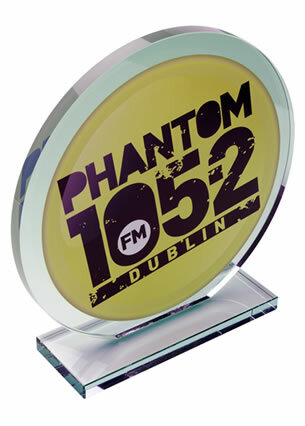 These stylish awards feature a finely detailed crystal globe, crafted in flawless optical crytal, and mounted on a rectangular clear crystal base with bevelled edges. The base includes a circular recess that allows the globe to sit loosely on it. The globe is 80mm in diameter and the overall height of the award, including base, is 125mm. 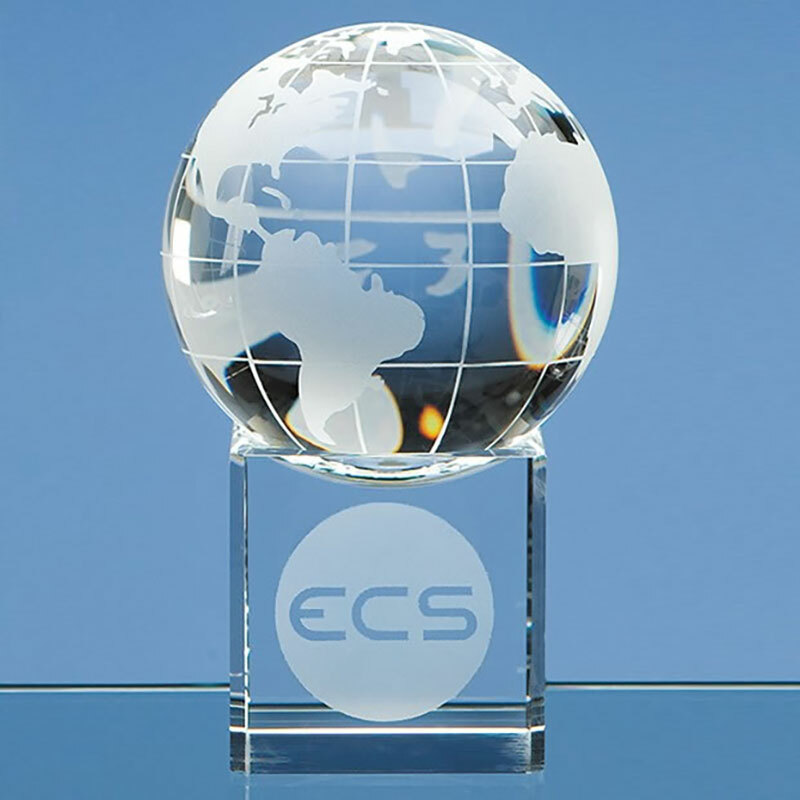 These contemporary globe awards are suitable for a wide range of events and achievements, from corporate awards to sporting prizes to industry recognition awards. They are particularly suited to any competition or programme that has an international or global reach.